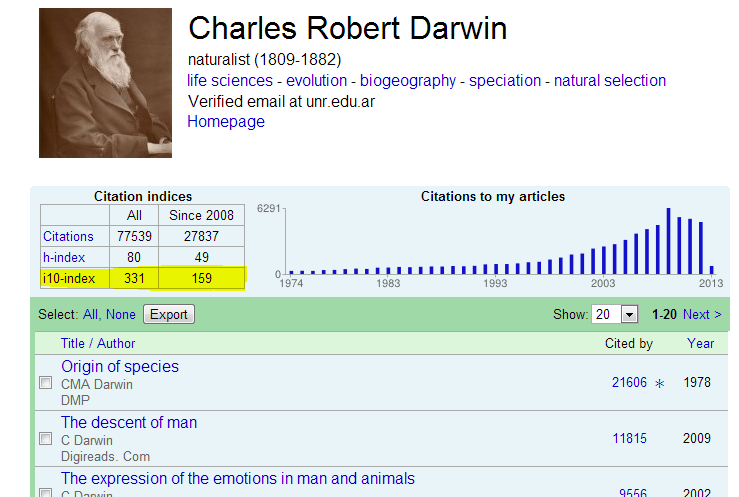 Created by Google Scholar and used in Google's My Citations feature. i10-Index = the number of publications with at least 10 citations. This very simple measure is only used by Google Scholar, and is another way to help gauge the productivity of a scholar.